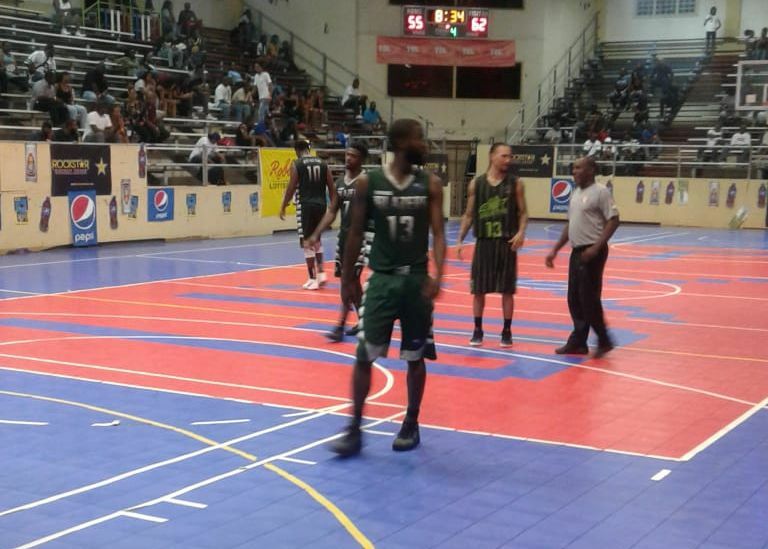 In an impressive win, Team BVI disposed of their challengers 88 to 64. Playing to make the BVI proud, the defending champions went out and played hard, showing their talent and skills. It was a tough home crowd, but BVI Bayside Blazers had their fans too, as many persons traveled to St. Maarten to witness the games that ended last night Saturday July 21, 2018. We will bring more details later as the full scorecard becomes available. PHILIPSBURG, St Maarten, WI- Sending a message to the USA Basketball Team in regular games at the Battle of the Fittest Basketball Tournament in St Maarten, the BVI Bayside Blazers again showed they were good enough to make it to the finals. They beat off the tight competition presented by the USA Basketball Team last evening Friday July 20, 2018. BVI Basketball Team beat the USA 80 to 67 in last night’s game, as it was not an easy walk over, as some sports commentators said of the night before. It means that the BVI Bayside Blazers will face Dutch St Maarten, the only team that defeated the BVI Squad in the final Championship game this evening Saturday July 21, 2018 to bring the curtains down on the week long games. If Team BVI wins it will be a three year championship in this league. The game will be played at 9:00 P.M. at the LB Scott Sports Auditorium, in Dutch St Maarten. 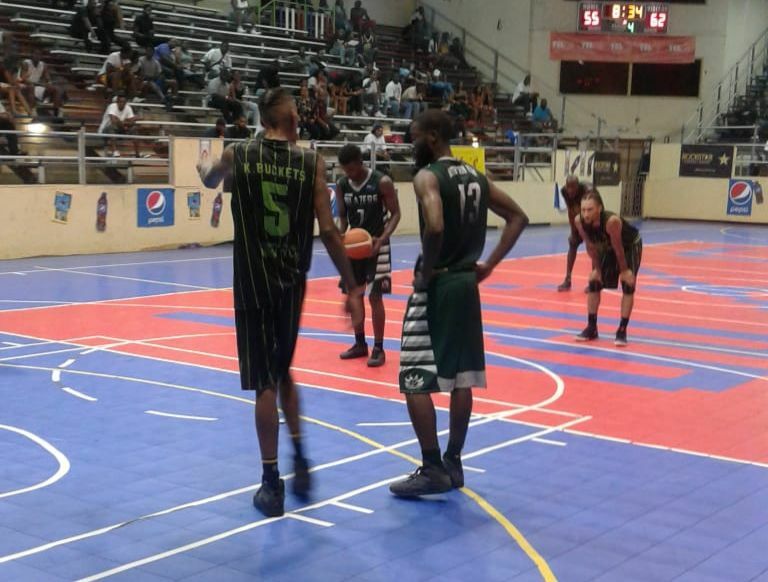 Top scorers for the BVI Bayside Blazers were Killven M. Samuel with 29 points, 6 rebounds, and 6 assists, with Team Captain Ray D. Victor scoring 12 pts, and 4 assists. Daven D. Ottley came in with 11 points, 5 rebounds, and 2 steals while the 7 footer Akeme A. Smart had 7 points, 5 rebounds and 1 block. 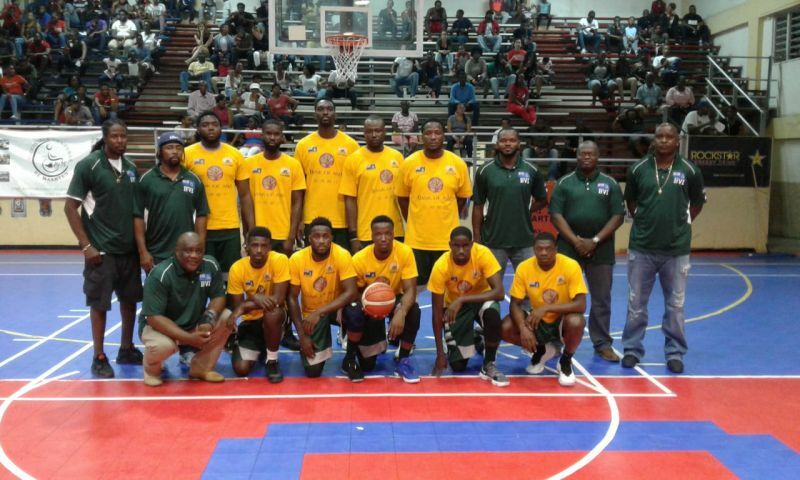 The BVI Basketball Team will face a St Maarten home crowd tonight as excitement builds on the possibility of three straight championship titles. The Team’s Platinum sponsor is the Bank of Asia. Other contributors include NAGICO Insurance, House of Luxury, Road Town Wholesale, Midnight Marine Holdings/EZ Shipping, Skelton Group of Companies, Caribbean Cellars, Nanny Cay Marina and Hotel, J & C Trading, Sunleaf Construction Ltd., Primer Dr the Honourable D. Orlando Smith OBE, Hon Andrew A. Fahie, Hon. Archibald C. Christian, Hon. Alvera Maduro-Caines, Hon. Kedrick D. Pickering, Julian Willock, Mitsy Ellis-Simpson, Moneygram, BVI Tourist Board, VI Air link, JML delivery, Circle Café, Delta Petroleum, BCQS, Premier Insurance Limited, BVI Olympic Committee, The Boys, Triple A Trucking and Willful Skillful (St Maarten). Great job team. Always continue to do your very best. Congralation ! BVI. Well done !! !